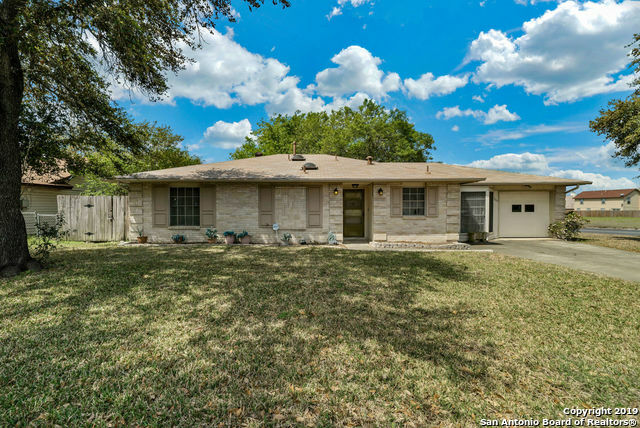 All Woodlake homes currently listed for sale in San Antonio as of 04/20/2019 are shown below. You can change the search criteria at any time by pressing the 'Change Search' button below. 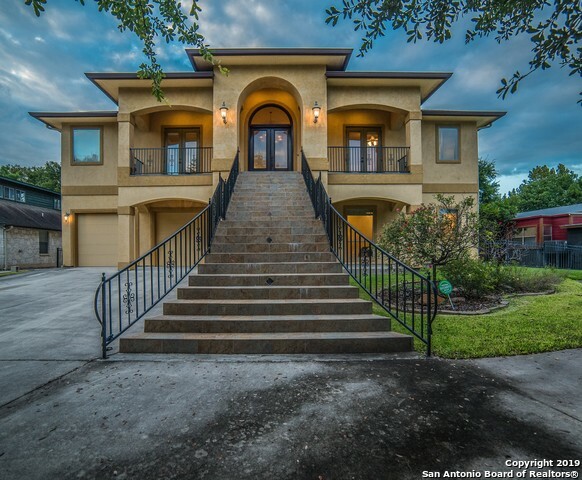 "Lake McQueeney Luxury Waterfront Home. Gorgeous features and touches throughout. 4 Beds, 3 Baths with 4308 SqFt. Upstairs features grand open Living room with Fireplace, Gourmet Island Kitchen, Dining, Office, Master suite retreat with spa like bath, and lakeside Balcony. Downstairs has another Living room, Kitchen and additional Bedrooms. Enjoy the outdoors with multiple entertaining areas. Outdoor Kitchen, In Ground Pool with Waterfall and bar seating, Deck, Boathouse, Sundeck, Jet Ski ramp." "Great house for entertaining. Kitchen, living room and dining all open and flow to the covered porch and extended flagstone patio with rock fire pit. Living room is accented with wood-burning rock fireplace and niches at entrance with uplighting at the ceiling. The bedrooms with different designed ceilings. Master suite with study and master bath has a Texas size shower and stylish cabinet. Shaker cabinets in kitchen with SS appliances, silestone. Oversized garage with workbench. 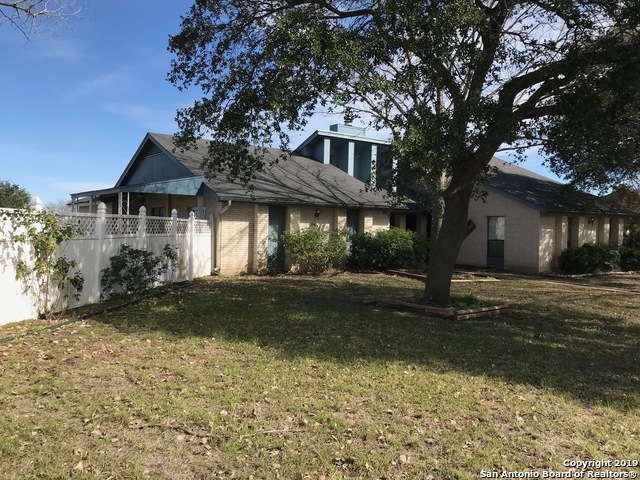 10 minutes to N"
"4 Bdrm * 4-Side Brick .41AC on Corner Lot * 2-CG rear entry * Beautiful Entry adorned with brick columns and Decor Iron Door * Tile Entry * Walk into Huge LR with wet bar, FP, and High Ceiling * Kit w/Brkfst Bar and formal dinning * 2-Covered Patios both with big yards for after work entertainment * 8x10 Tool Shed * Easy Access to IH10; Loop 1604; Judson ISD * Near Grocery Stores, Shops, Live Oak entertainment center and more..........Come See, You Will Not Be Disappointed"
"Quaint and Cozy! Great 3/2 starter home on a well maintained .24 acre corner lot. Come in, update to make it your own. Roof approx 2 yrs old. Hot water heater 1 year old. Washer and dryer convey. Easy access to Foster Rd, FM 78 and I-10. 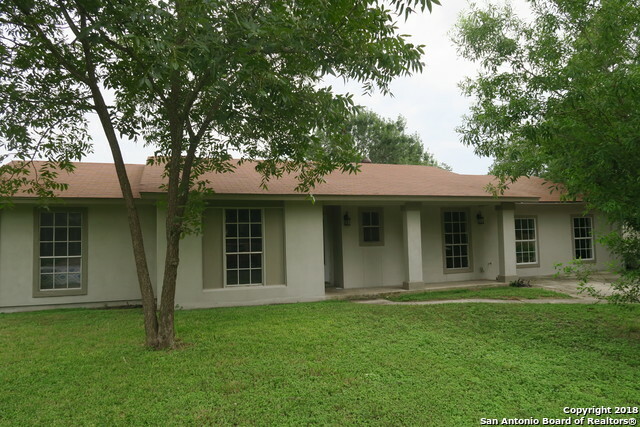 Close to shopping, schools, Ft Sam Houston and JBSA-Randolph." "MUST SEE! 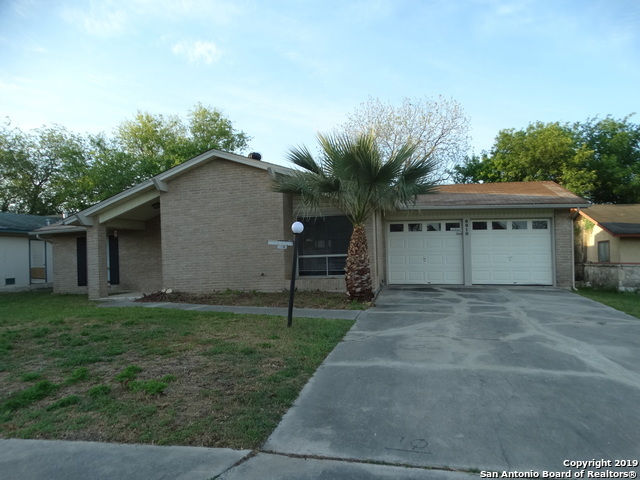 This 3 bedroom, 2 bath has granite counter tops, stainless steel appliances, central air and water heater replaced in 2016, both baths remodeled, Kitchen remodeled, remodels done in 2016 as well. All on a Cul De Sac street. Close to 35 and I-10." "Renovated beauty located on a dead end street with little traffic. Very large corner lot gives you more elbow room and privacy. Newer laminate flooring & tile (no carpet in the main living areas). Granite counters, updated cabinets, custom backsplash, the kitchen looks really nice! Updates in the bathrooms as well. What makes this house special is that it has 2 master bedrooms (3 full bathrooms total) so the in-laws will get their own private restroom. HUGE master bedroom & awesome walk-in close"
"Home qualifies for ZERO down payment!!! Updates include: Trane HVAC, flooring, granite countertops, custom cabinetry, stainless steel appliances; dishwasher, microwave, smooth cooktop, undermount stainless steel sink, vaulted ceilings in family room, updated lighting, baseboards, ceiling fans, carpet in bedrooms, bathroom vanities & lighting, 6 panel interior doors, tandem 2 car garage w/ painted flooring, storage shed (new shingles, decking, siding). 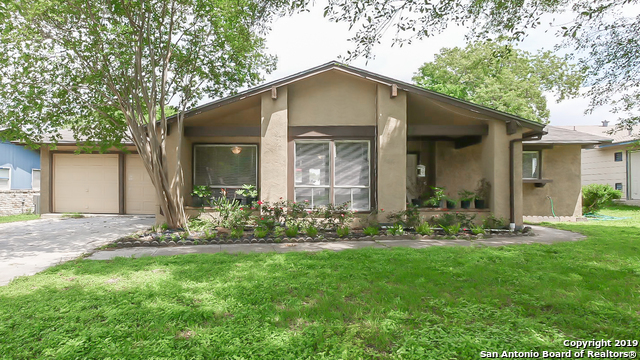 Spacious back yard w/ patio slab & front cov"
"Beautifully updated home on popular area! This home features a BRAND NEW KITCHEN!! New cabinets, new counters, new sink, new stainless steel appliances, new floors throughout, and recently painted. This yard has large mature trees! This home is a must see!! JUDSON ISD, NO HOA!!" "This charming home in the quiet Woodlake neighborhood offers an open floor plan and beautiful, custom design and accents throughout. Cozy kitchen boasts solid wood countertops with open shelving, and a beautiful pallet ceiling. Custom industrial light fixtures throughout and a BONUS Hidden Reading nook off the study! Short Drive to Randolph Brooks AFB! JUDSON ISD! Newer HVAC and Water Heater and New Roof! NO CITY TAX!!" "Nice home in established area. Great Northeast location." "I JUST HAD A MAKEOVER AND AM ACTIVELY LOOKING FOR A NEW OWNER. I AM 47 YEARS YOUNG, AND HAVE PLENTY OF SPACE, WITH 4 BEDROOMS AND A SECOND LIVING AREA. I JUST HAD A FRESH COAT OF PAINT AND NEW FLOORING. I WOULD SAY THAT MY BEST FEATURE IS DEFINITELY MY KITCHEN, WITH NEW SELF-CLOSING CABINETS AND GRANITE COUNTERTOPS. SCHEDULE YOUR VIEWING NOW!" "Well maintained home. Owner needs to downsize. Move in ready." "Beautiful double wide manufactured home with 4 large size bedrooms and 2 full baths. Property comes with fridge, washer, dryer and outside shed. All appliances included. Ready to move into this spacious home in a quiet neighborhood that comes with a swimming pool, clubhouse, kids playground and basketball court to enjoy your family weekends. Come see for yourself to believe."